Check out Emma’s Bat Mitzvah entertainment featuring our Slow Motion Booth Mezz Orlando. 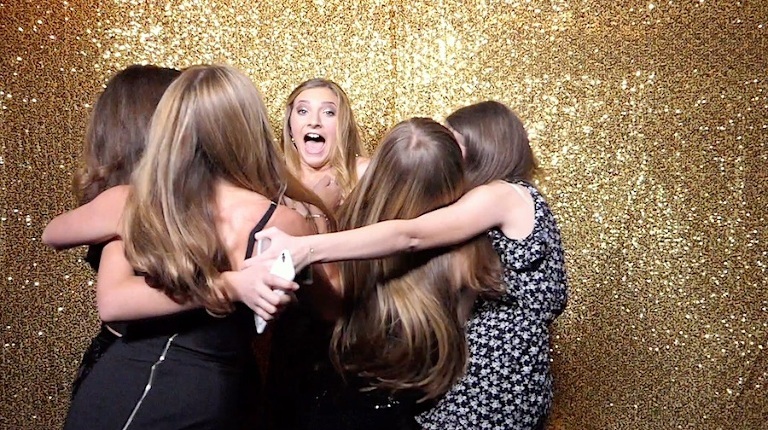 This Bat Mitzvah event at the sleek and modern Mezz Orlando was a sparkling affair punctuated by lot’s of shimmering gold sequins — so we just had to debut our new gold sequin backdrop with our Slow Motion Video Booth. In addition, we also featured our SugarPop Selfie Booth and an also new, Gold and White sequin mermaid backdrop! We must confess, we love sparkly stuff! Designed by the always awesome Laurie of Bliss Events and featuring a talented crew of vendors including Raining Roses, Chair Affair, Arthur’s Catering, Bake Me a Cake, Matt Zholer Entertainment, a yummy candy bar by Florida Candy Buffets (we didn’t cheat but admired all the colorful sweets! ), and all of it captured by Courtney Shapiro Photography.